Image-based automatic segmentation of leaf disease spot is the basis for plant disease identification. A deep learning method based on SSD neural network is proposed in order to solve the problem of adaptive extraction of disease spot from uneven image and noise difference images in traditional feature segmentation. The idea of the algorithm is to transform the whole segmentation into partial segmentation. The depth features are extracted by multi-scale convolution to generate a set of leaf disease spot bounding-boxes, and the disease spot regions of leaf are obtained by non-maximum suppression. Experiments on the image of potato leaves were carried out to obtain the exact boundary of the disease spots in the image. The location accuracy of the disease spot was more than 85%, and the accuracy of boundary segmentation was 80%. Compared with the traditional method of segmentation of disease spot, this method proposes an effective solution for complex background and automatic segmentation of multiple disease spots, which lays a foundation for further leaf disease identification. Figure 9. The examples of background sample images. Barbedo, J.G.A. 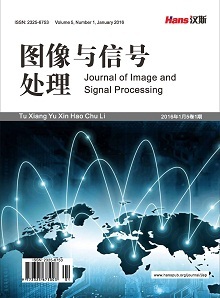 (2014) An Automatic Method to Detect and Measure Leaf Disease Symptoms Using Digital Image Processing. Plant Disease, 98, 1709-1716. Ma, J.G. and Barbedo, A. (2013) Digital Image Processing Techniques for Detecting, Quantifying and Classifying Plant Diseases. SpringerPlus, 2, 1-12. 夏勇泉, 李耀斌, 曾莎. 基于HIS颜色空间的植物叶片病斑提取方法[J]. 江苏农业科学, 2015, 43(8): 406-408. 张建华, 韩书庆, 翟治芬, 孔繁涛, 冯鑫, 吴建寨. 改进自适应分水岭方法分割棉花叶部粘连病斑[J]. 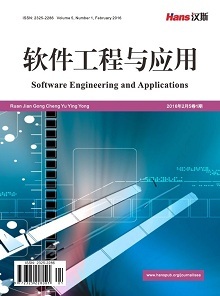 农业工程学报, 2018, 34(24): 165-174. 白文斌, 白帆, 贺文文, 等. 基于SVM的高粱叶片病斑图像自动分割提取方法研究[J]. 农学学报, 2014, 4(6): 101-106. 侯兆静, 冯全, 张涛. 基于高斯混合模型的叶片检测分割算法[J]. 计算机应用与软件, 2018, 35(1). Mohanty, S.P., Hughes, D. and Salathé, M. (2016) Using Deep Learning for Image-Based Plant Disease Detection. Frontiers in Plant Science, 7, 1419. Zhang, L., Xia, G.-S., Wu, T., Lin, L. and Tai, X.C. (2016) Deep Learning for Remote Sensing Image Understanding. Journal of Sensors, 2016, Article ID: 7954154. Barbedo, J.G.A. (2016) A Review on the Main Challenges in Automatic Plant Disease Identification Based on Visible Range Images. Biosystems Engineering, 144, 52-60. He, K., Zhang, X., Ren, S. and Sun, J. (2016) Deep Residual Learning for Image Recognition. Proceedings of the IEEE Conference on Computer Vision and Pattern Recognition, Las Vegas, 26 June-1 July 2016, 770-778. 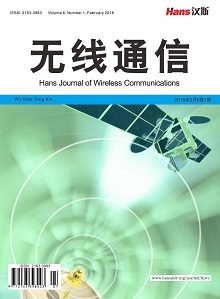 Liu, W., Anguelov, D., et al. (2016) SSD: Single Shot MultiBox Detector. 王书舟, 伞冶. 支持向量机的训练算法综述[J]. 智能系统学报, 2008, 3(6): 467-475. 陈佳娟. 基于图像处理和人工智能的植物病害自动诊断技术的研究[D]: [博士学位论文]. 长春: 吉林大学, 2001. 毛罕平, 张艳诚, 胡波. 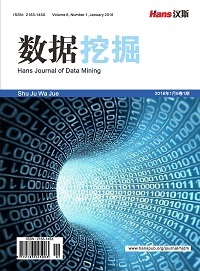 基于模糊C均值聚类的作物病害叶片图像分割方法研究[J]. 农业工程学报, 2008, 24(9): 136-140. Rafael, C.G., Richard, E.W., 等. 数字图像处理[M]. 第3版. 阮秋琦, 译. 北京: 电子工业出版社, 2013. Szegedy, C., et al. (2014) Going Deeper with Convolu-tions. Russakovsky, O., Deng, J., et al. (2015) Imagenet Large Scale Visual Recognition Challenge. 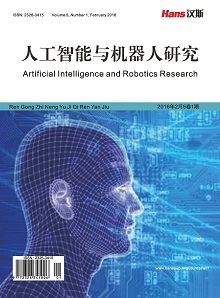 International Journal of Computer Vision, 115, 211-252. Patil, J.K. and Kumar, R. (2012) Feature Extraction of Diseased Leaf Images. Journal of Signal & Image Processing, 3, 60. Al-Hiary, H., Bani-Ahmad, S., Reyalat, M., Braik, M. and Al-Rahamneh, Z. (2011) Fast and Accu-rate Detection and Classification of Plant Diseases. Machine Learning, 14, 5.